Abkhazia has closed all but two of its de facto border crossings with Georgia, triggering protests from Tbilisi, Washington, Brussels, and the ethnic Georgians of Abkhazia whose daily lives will be complicated by the new restrictions. The crossings are used mainly by residents of Gali District in Abkhazia and Zugdidi District in Georgia, on either side of the border, both inhabited almost exclusively by Mingrelian Georgians with many family ties between them. Many Gali residents have moved to Zugdidi while coming back regularly to look after family, property and crops. When the plans for the closure were announced in January they triggered a rare protest by Gali residents. And the closure itself prompted protests from Georgia's allies in the West. The move “will have a negative impact on the situation on the ground and stability in the region. It will restrict freedom of movement, affecting the livelihoods of local residents,” said NATO Spokesperson Oana Lungescu. Two additional crossings had already been closed in April 2016 to much more muted reactions. Abkhazia claims the crossings were used for smuggling, although if true this implies complicity by the Abkhazian and Russian border guards stationed there. The closures are part of a larger effort by Sukhumi to tighten control over the border. A 1992-1993 war between Georgia and Abkhazian separatists resulted in Abkhazia gaining de facto independence. In the following years the Gali District saw a low-intensity conflict between Abkhazian security forces and Georgian guerrillas, including a small war in 1998. A 2008 war between Georgia and Russia resulted in Russia formally recognizing Abkhazia, giving the Abkhazian authorities the ability to control the flow of goods and people across what it sees as its international border. Until this is confirmed in a peace treaty and as long as the border is still a line of conflict, though, it wants to keep the border hard to maintain its grip on Gali District. Georgia, for its part, wants to offer Abkhazians access to services like education, health care and employment, in the hope of convincing them that they have a brighter future within Georgia. The decision to close the border crossings now is largely a function of internal Abkhazian politics. 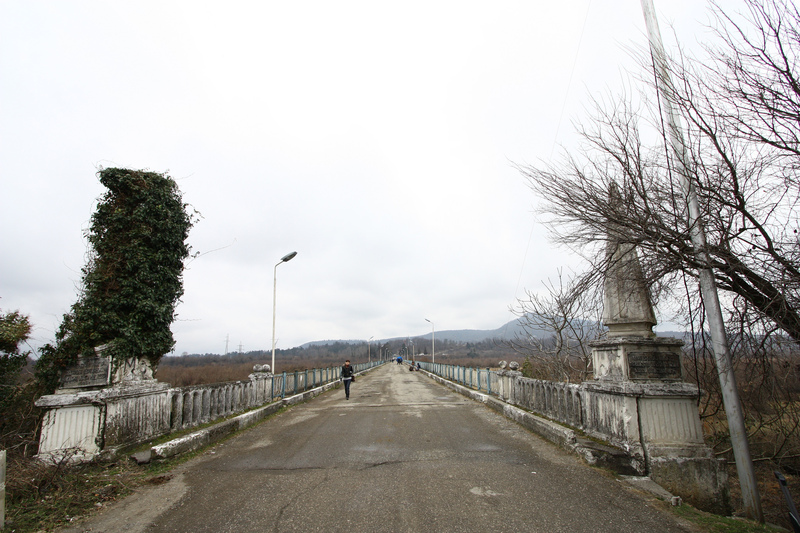 While it may fit the narrative of Abkhazia's progressive integration into Russia and isolation from Georgia since 2008, the border crossings had only been opened in 2013, under Abkhazia's previous President, Alexander Ankvab. At the time, its stated aim was to reduce smuggling and to tax cross-border trade. But it was part of a wider hearts-and-minds strategy that also included the widespread adoption of Abkhazian pasports by Gali residents. When the opposition, led by Raul Khajimba, ousted Ankvab in 2014, this strategy was one of its main grievances. Taking a harder line on security, it saw Gali residents as a potential fifth column, and Khajimba promised during his election campaign to annul the passports of Gali residents and close the border crossings. Even in a hypothetical scenario where Abkhazia's current opposition returns to power, though, it may not want to expend much political capital on reversing these measures, as this would open it up to renewed criticism by security hardliners.